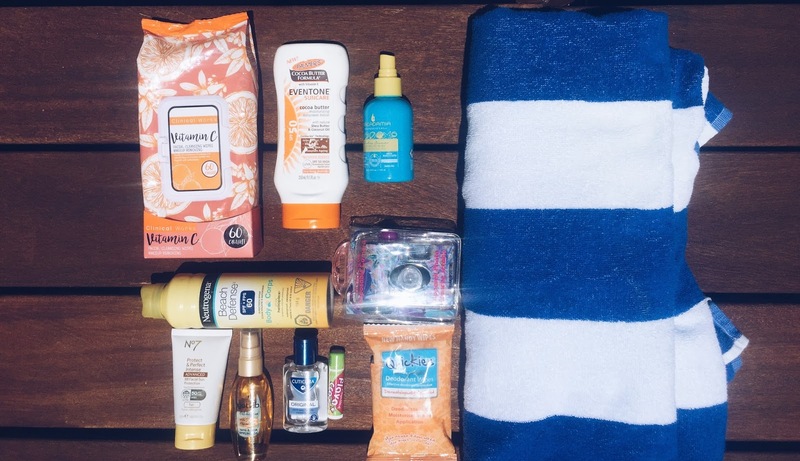 Autumn season is the best for trying new bodycare products and late night pampering. Recently I’ve been using this amazing Carbon Scrub which a 100% natural, vegan and cruelty free scrub. I am a huge fan of the lately trending coffee scrubs so this charcoal scrub was another exciting product which I really wanted to try. Carbon Scrub was used by Aboriginal Australians for more than 65,000 years to cleanse and smooth down the skin. Activated charcoal is a natural exfoliant, and it removes dead skin cells to maintain healthy and glowing skin. It is a bit more stronger than coffee, so I really liked using it on my body to achieve perfectly smooth skin. 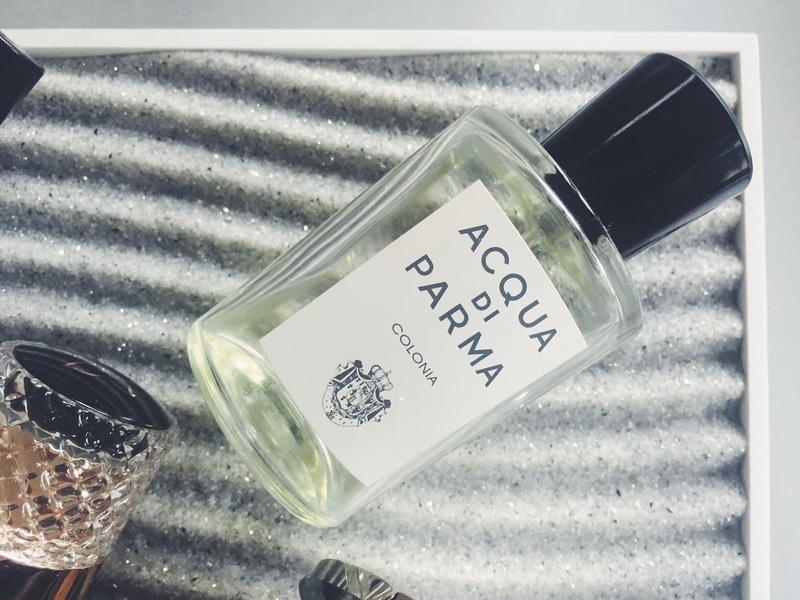 It has no scent, as it is 100% natural which is perfect if you just want to unwind. I liked using it twice a week to deep cleanse my skin and exfoliate dead skin cells. It is an amazing exfoliant and I was super happy with the results. It also lasts for a long time as you only need a tiny amount for your whole body. Available from the Carbon Scrub Website, for £17.15. This is another trending product – a charcoal powder which you use with your toothbrush to whiten your teeth. I must say this is a bit more messy as you do need to wash your mouth a few times before you get rid of all the charcoal grains but it is definitely worth it. My teeth felt much cleaner, as the charcoal grains helped to remove plaque and made my teeth one shade lighter. This is once again a 100% natural product, so you can use it without worrying about teeth sensitivity. 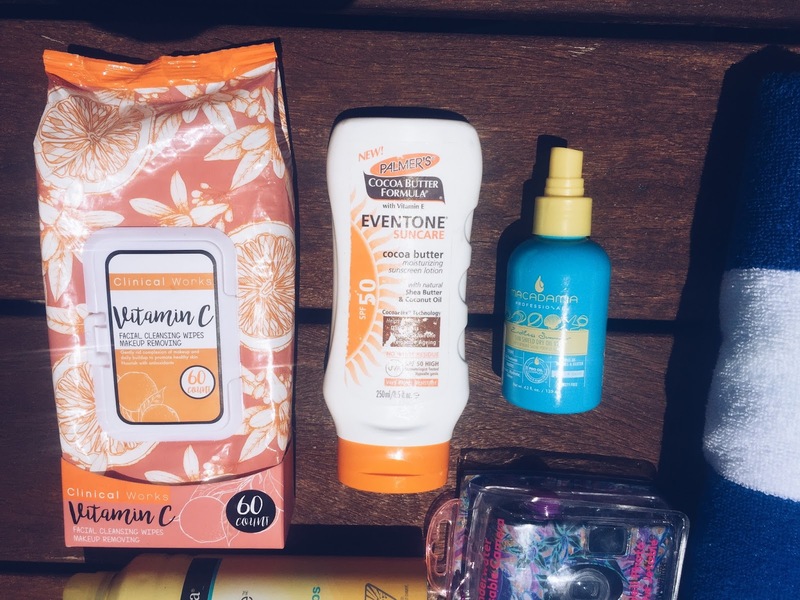 If you like natural whitening products, you should give this a go for amazing results! Available from the Carbon Scrub Website , for £8.56. As we all know, the days are getting shorter and the temperature is dropping so the thought of staying home wrapped in a blanket is much more attractive than going to the gym… I know as I find it extremely difficult to leave the house, especially in October, November and December! However, the winter season is around the corner, so especially now, I need to up my game and head over to the gym at least twice a week. 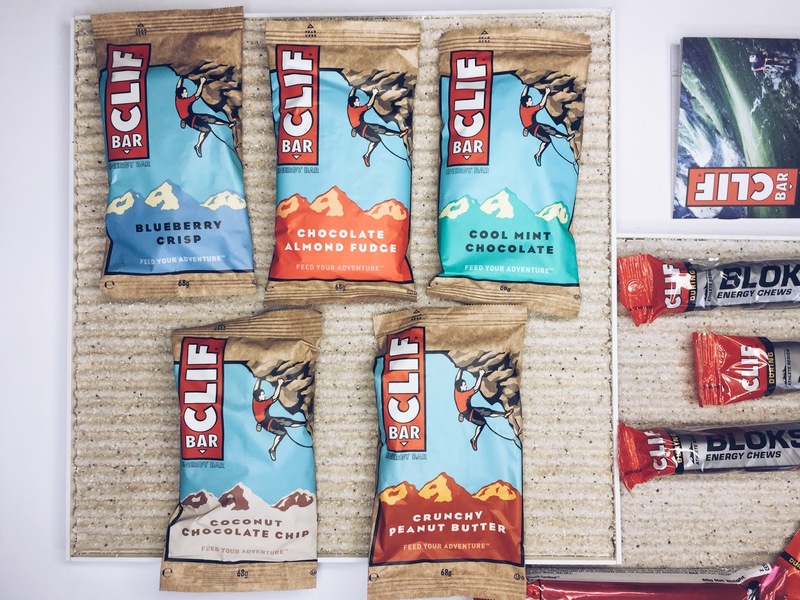 To keep my energy and motivation high, I have been trying the delicious products from Clif and I really loved them! These are absolutely delicious! Filled with organic oats, they taste better than any protein bar. In addition to the taste, they are a source of protein, fibre and 11 vitamins including B6 and B12 which contribute to the normal release of energy. They are to be used before the exercise, during low intensity exercise of after exercise. I really liked using these bars before exercise as they gave me a lot of energy prior to starting my training. There are 7 flavours available and my favourites are the Coconut Chocolate Chip and Chocolate Almond Fudge. Available from Tesco, Ocado and Evans Cycles, for £1.79. My favourites from Clif are the Bloks as they taste like sweets and are super tasty! The Bloks and Shots are to be used during high or low intensity exercise and before the training to give you energy. They are perfect to be used on the move and I particularly liked the Bloks as you could easily choose how many you needed and keep the rest for later. I found that both really helped to boost my energy levels especially after a whole day at work. The Bloks are available in 5 flavours from Energy Snacks, for £2.69. The Shots are available in 5 flavours, £1.59 from Energy Snacks. Clif’s Builder’s Protein helps you get the most out of your workout. It should be consumed before or after workout for best results. It contains 20g of proteins for growth and maintenance of muscle mass. These are quite heavy, so I used them after my workout to ensure that my muscles had all the nutrients needed to develop. These are available in three flavours from Energy Snacks, for £2.39. I really liked all of these products, and they are much better tasting than other protein bars that I tried before and are widely available for purchase. If you are a gym junkie, you should definitely try these! I hope you have enjoyed the summer and are ready for the upcoming autumn. Every season I change the interior decoration of my house. For autumn I will be adding candles, blankets and items which will create a cosy atmosphere. Recently I discovered an online retailer uncommogoods.com where you can find a variety of lovely designs to decorate your home. The company works with artists and small manufacturers who create the products in socially and environmentally responsible manner. Keep on reading to see my favourites below! I love candles and fireplaces so in autumn I always light them up. I really like the shelf where you can place a variety of items like candles, books, plants of frames. The two candles selected would be ideal for an autumn evening with movies and a warm blanket. The fireside cosy candles can be placed next to the fireside and you can light up your evening, and the second candle can be also worn as perfume and used for a body massage. I really like the idea of having a Firewood rack even if you don’t use your fireplace as it adds a lot to the atmosphere. The above items are available from the home section. From left clockwise, Fire Escape Shelf for £74.91, Fireside Cosy Candles for £13.62, Baltic Steel Firewood Rack £165.72, Wearable Candle for £21.19. If you are one of the lucky ones with a garden or a terrace, you should definitely invest in the above items as there is nothing better than sitting outside, wrapped in a cosy blanket with a cup of hot chocolate with marshmallows. I love the idea of a hanging chair, surrounded by hanging lanterns during a breezy autumn evening. I already cannot wait for autumn! From left, Do Good Hanging Chair for £132.43, Solar-powered Mason Jar for £18.92. Head over to www.uncommongoods.com to see more garden accessories. So above are my favourites from the website but you can find lots of interesting items from this retailer, and create your perfect cosy atmosphere at home. You can also find products which contain recycled components and no products contain leather, fur and animals. What is great about this retailer is that at the checkout you can select a non-organisation to receive a $1 donation at the checkout. Head over to uncommogoods.com to find out more! 3. Enjoy the changing colours! I have an exciting giveaway for you this week! 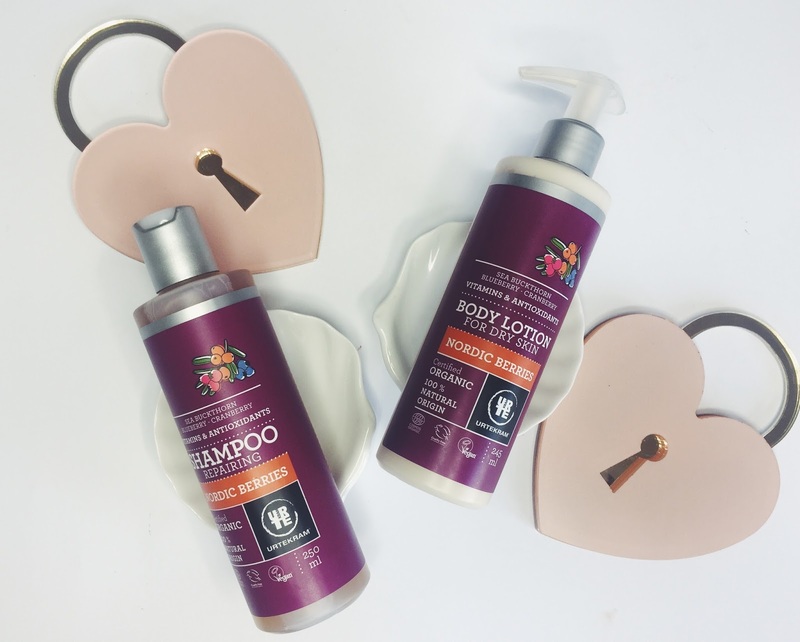 You can win the Nordic Berries Repairing Shampoo and Body Lotion 🙂 These products are from an organic brand called Urtekram which just launched its new Nordic Berries range! Keep reading to find out more about the products and how to enter the giveaway. I was really fascinated to find out about the benefits of nordic berries as I have never seen them before. Nordic berries are cultivated Nordic region and they are known for for their beneficial properties, as they contain hyaluronic acid, peptides and antioxidants. 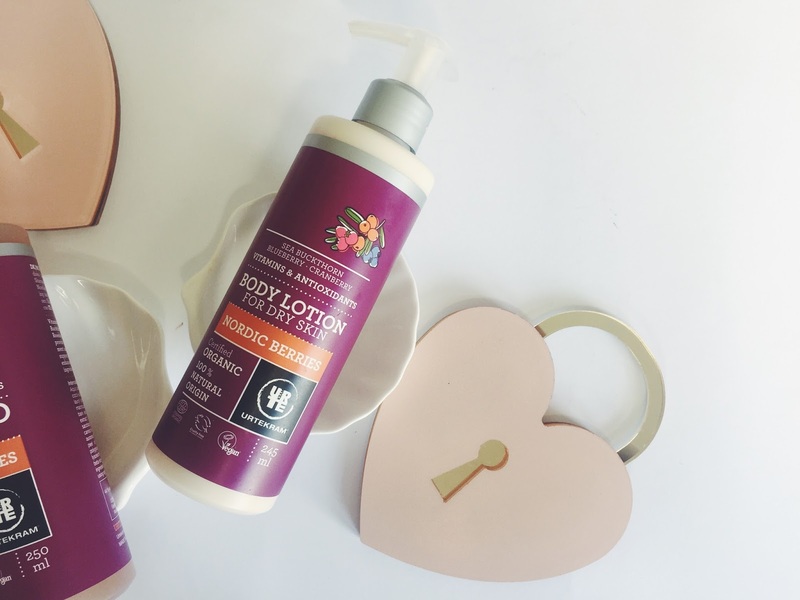 The body lotion comes in a 245ml bottle with a pump so it is very convenient to use. It is not too thick so it gets absorbed into the skin easily, and you only need a little for one use. The delicate smell reminds me of fresh forest fruits. It is hydrating as it contains an extract from willow bark and hyaluronic acid. I have been using it everyday as my skin is so dry after the summer holidays and it helped me to maintain my skin hydrated. Available from Ecco-Verde Website, for £7.99. This might sound a bit random, but I love the purple packaging of these products, especially the shampoo looks great in my shower on a white background! Thanks to the vitamins and antioxidants from Rosehip, Cranberry, Blueberry and Sea Buckthorn as well as the hyaluronic acid, the shampoo has repairing properties. I used it for two weeks to wash my hair and I liked it as it was quite hydrating and it improved the appearance of my hair. I always use conditioner after but overall I was happy with the results. It smells like the body lotion and leaves a delicate scent on your hair after. Available from Ecco-Verde, for £6.39. What is also worth mentioning is that Ecocert COSMOS Organic Standard so if you are trying to move to healthier beauty products, you should give this range a go! To win the Nordic Berries Shampoo and Body Lotion, follow me aniaaniapawlak and HealthyFoodHQ and retweet my giveaway tweet. For an extra entry follow me on Instagram aniaaapawlak. Good Luck! Ends on Wednesday 23rd August 12pm (UK only). 3. Spend time in the sunshine! I hope you are still enjoying the summer even though London has been a bit on and off lately! Once again Nu Skin has made its way to my blog with their amazing ageLOC Galvanic Body Spa Trio. This wonderful trio helps to remove any bumps and dents in my skin and if you use it in the longterm you will always have stunning and perfect skin! This is a key to the treatment – the Galvanic Body Spa instrument! It uses a pulsating technology which optimises anti-ageing effects through large conductive surface when used with the body shaping gel. It has been proved in laboratories that the Galvanic current helps to deliver the product and reach all areas of the body. It also stimulates the skin and helps to purify it, preventing the signs of ageing. The interesting thing about this device is that the current adjust itself, and the user just moves the machine around the body. 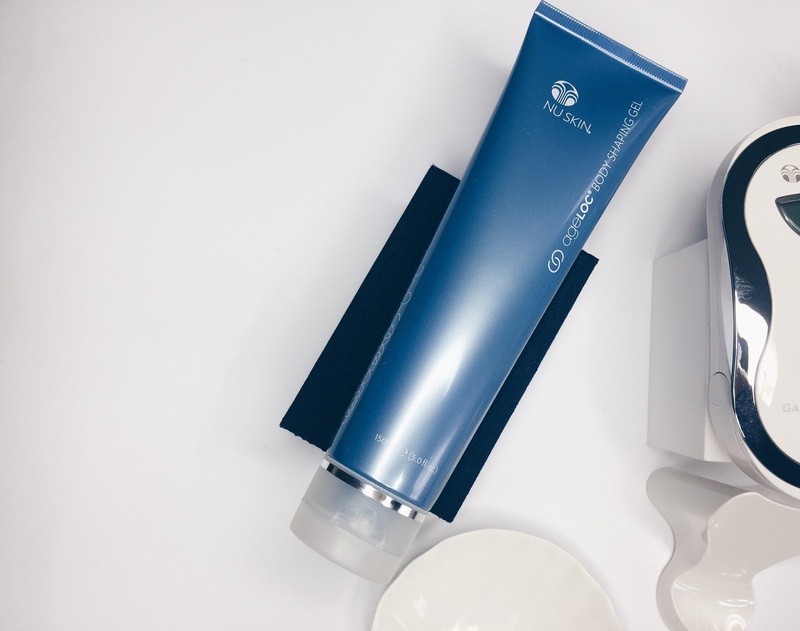 I love the ageLOC Body Spa as you can recreate your own Spa at home and this treatment would normally cost you quite a lot if you go to a professional. The device is very easy to use, it beeps when the device is active and it also inform you when the treatment is over. It comes with a little stand so you can leave it safely in your bathroom until your next treatment. 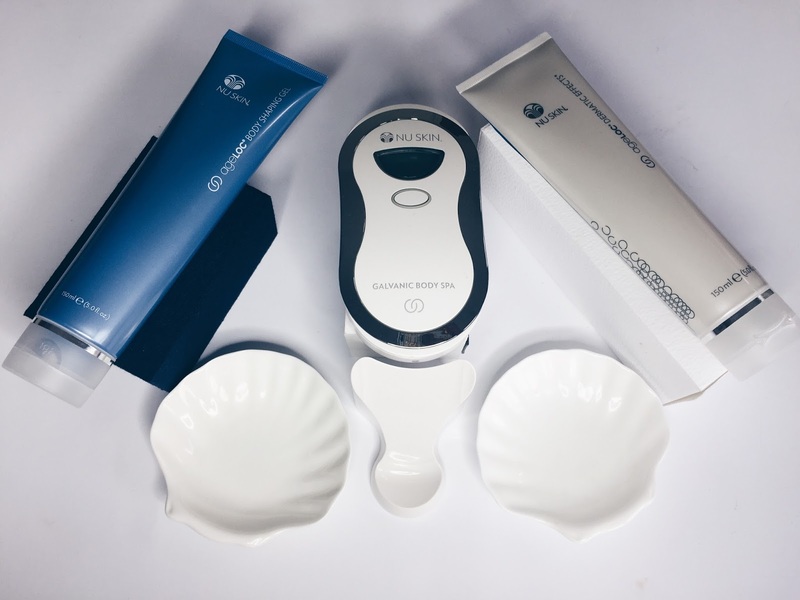 ageLOC Body Shaping Gel needs to be used with the Galvanic Spa Instrument. The ingredients aim to reduce the signs of ageing as well as preserve the youth. The gel also helps to reduce the visibility of cellulite and uneven skin, making the skin look firm and healthy. The Galvanic Spa Instrument must be used with the Body Shaping Gel, the gel should be applied to the skin prior to treatment. I really liked this gel as it is not too thick, and the packaging is very convenient. After the treatment it can be easily removed before applying the ageLOC Dermatic Effects. I thought that it was very hydrating, and perfect to use after the treatment to lock in the benefits of the gel and well as hydrate the skin. It has a good consistency and gets absorbed into the skin easily. 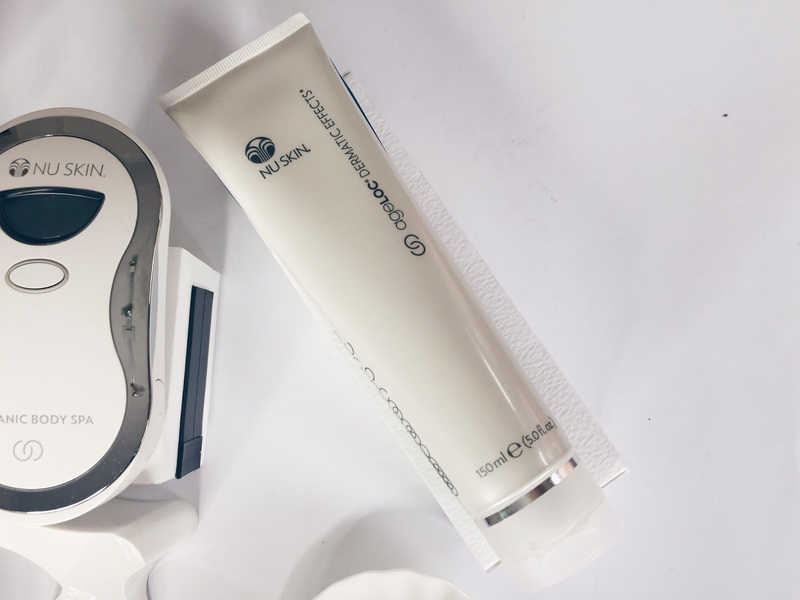 I really liked the Nu Skin ageLOC Galvanic Body Spa System and I think it works very well, especially if you want to get rid of any bumps or cellulite, it definitely helps! 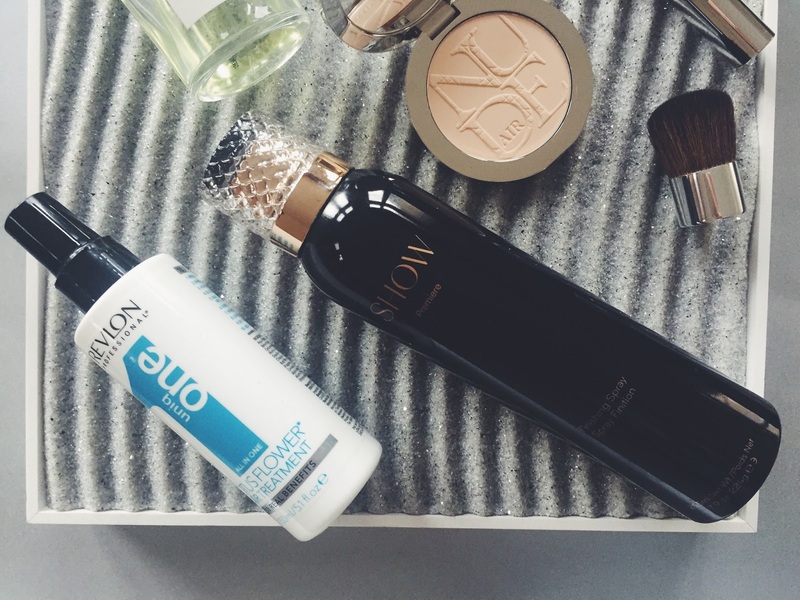 For best results, the products should be used all together as they compliment each other. The Trio is available from NU Skin Website, for £433.61. Although the price can seem high, remember that the treatments in a Spa will cost you around £80 each so if you would like to have a proper treatment, Galvanic Body Spa will be a better investment. 3. Have a beautiful skin!